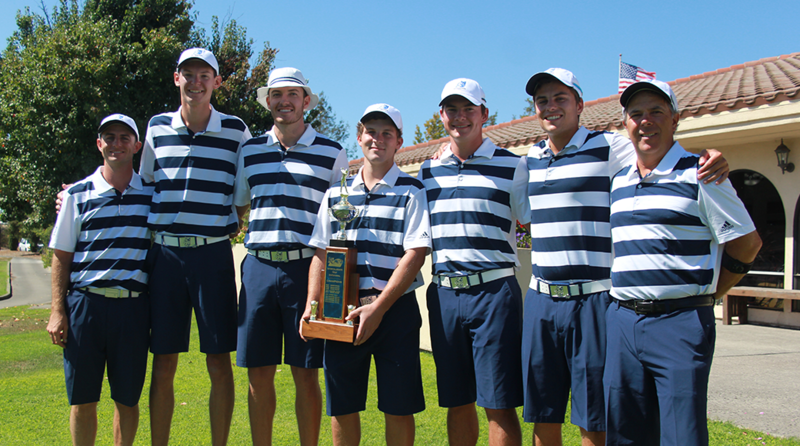 The Sonoma State Seawolves wrapped up the 2018 Sonoma State invitational with a four-stroke victory over second place Holy Names University on Sept. 18 at Foxtail Golf Club led by Blake Bourelle's championship performance. The tournament was awesome," said head coach Val Verhunce. "The guys played exceptionally well that first round. Blake Bourelle was an exceptional key to our lineup this weekend and I hope for the continuing season." "He won his first tournament he played in Division II golf which says a lot," added Verhunce. "It's not easy to do-and with only four players fielding the team and having to count all four scores there's a lot of pressure on a lot of the guys and they just came through like champs." "They did great. We're very excited to start the season with a win and hopefully we'll keep it rolling." The Seawolves return to action on Oct. 15-16 when they travel to Hurricane, Utah for Dixie State's Regional Preview at Sand Hollow Resort.